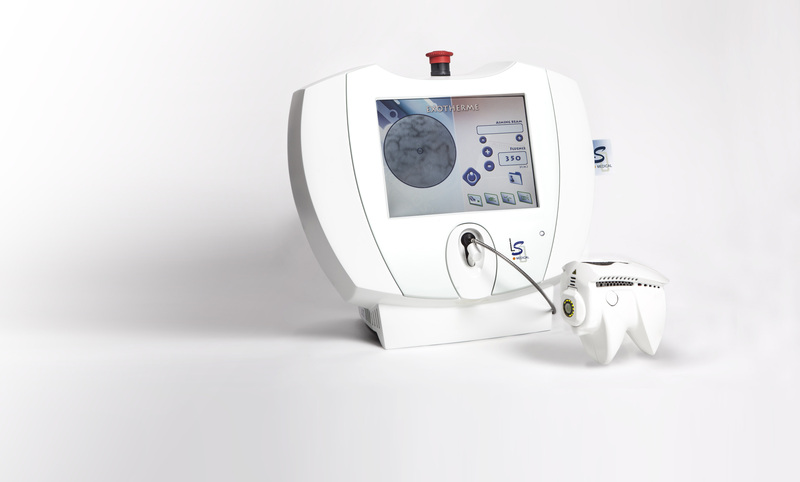 Exotherme™ is a transcutaneous vascular laser, dedicated to spider veins and telangiectasias, up to 2mm of diameter, for a safe, efficient and painless treatment. vascular doctor (Perpignan - France). 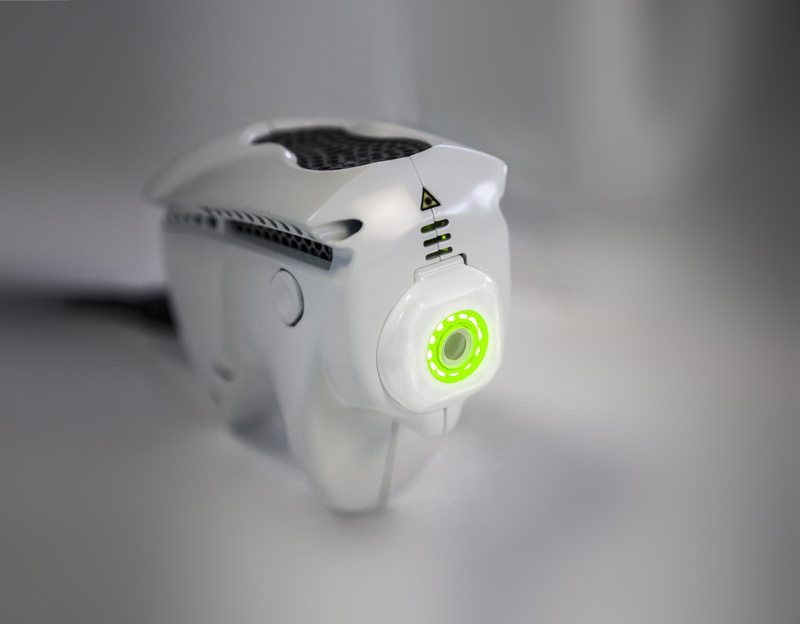 The principle of the Exotherme™ laser is based on the thermal action of the laser. The transcutaneous irradiation (with a penetration of 1 to 2 mm in the tissue) causes tissue selective absorption by hemeglobin (hemoglobin is the main target of the laser). Coagulation of the vascular wall with collagen denaturation. Selective photocoagulation does not cause purpura (contrary to photothermolysis). The superficial vessels, from 0.2 to 2 mm of diameter. Exotherme™ is cleared on the US market for the photocoaguation of leg telangiecatasias. to give value to the act because the patient see the immediate effects of the laser. 2nd and 3rd pulses: maintain the elevation of temperature in the vessel.